​What is Make::Wool? It’s a market with around 25 vendors. Where will it be held? At the Corn Exchange, the main event venue for EYF. St Abbs Wool Festival takes place at Eyemouth Community Centre on 6th April at 10am. This is a friendly and varied event with a devoted audience. The theme this year is 'At Work With Our Crafters' and it promises to be a great event! The Wool Monty will take place on June 15-16 2019 at the FlyDSA Arena Sheffield. 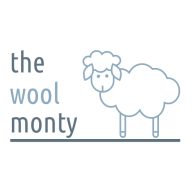 Woolfest 2019 Friday 28th (10am - 6pm) & Saturday 29th June 2019 (10am - 5pm) Woolfest was founded to provide a showcase and a celebration of the best of wool and wool crafts. The event is all about creativity and design with beautiful quality, amazing colours and skilled craftsmanship. ​WoolNEss will take place over the weekend of 2nd-4th August 2019 at the Life Science Centre in Newcastle upon Tyne - right next to Newcastle Central Station. Over 50 diverse and talented exhibitors will be greeting visitors during the weekend from 10am-4.30pm on Saturday and 10am-4pm on Sunday. Workshops and demos will start on Friday afternoon and will run throughout Saturday and Sunday.